"If Business Casual is the attire of the modern professional, these textures make a strong case for skipping the tie. We made sure our textures are unique, and styled these shirts with enough details to achieve a result that is modern (whatever that means), yet failsafe. I wouldn’t forgive myself if I ever dressed you to look foolish." 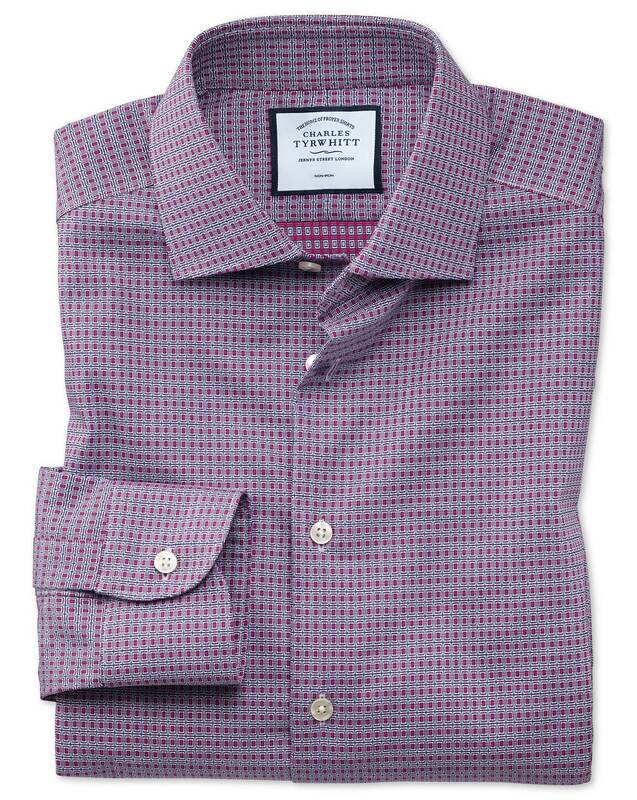 "Made from mid-weight 100% cotton fabric with exclusive textures, styled with semi-cutaway collar and no front placket for a modern Business Casual look." Good choice of good quality clothing items. Easy to order, items arrived in a timely manner. Bought for my father-in-law as Christmas gifts, he loves them. The gift boxes were also very good quality. All in all, very impressed, will buy from this site again. Thank you. viz: chest and stomach. Does that speak well of your tailoring or my body shape, or both.